KSAND at the Food and Nutrition Conference and Expo! Are you headed to Washington DC in October?! 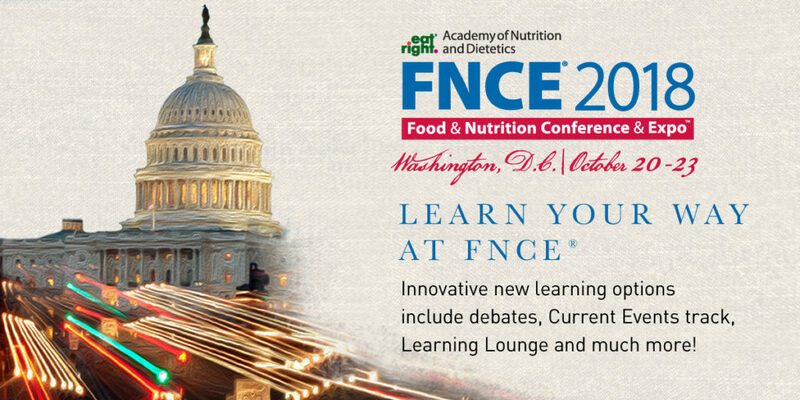 KSAND is excited to see how many Kansas dietitians and dietetic students attend the Academy’s FNCE® this year. 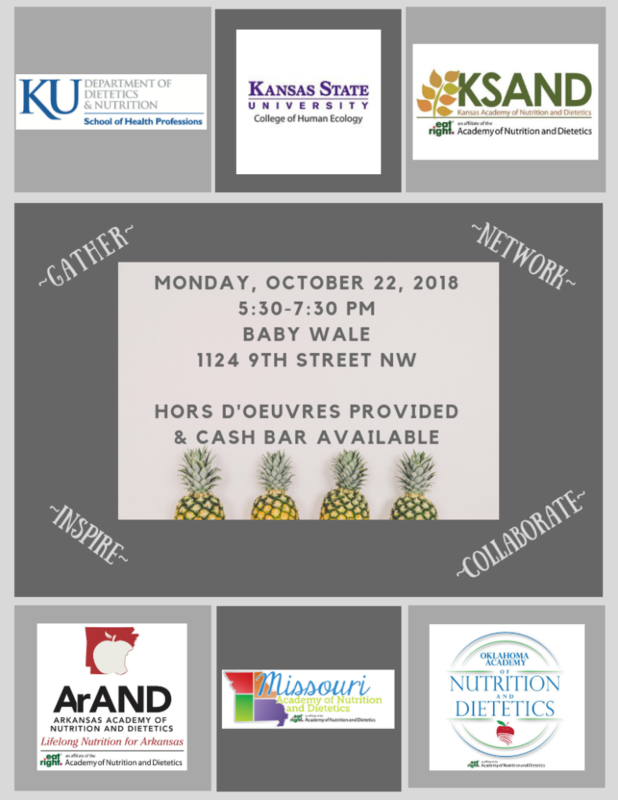 If you’re planning to attend FNCE®, then please join KSAND and neighboring affiliates and universities on Monday, October 22nd for a joint reception from 5:30-7:30 pm at Baby Wale (1124 9th Street NW) in Washington DC. Reconnect with college classmates, professors, and work colleagues. Time networking can help strengthen relationships that may provide future opportunities helping to further your career!